Ubiquinol CoQ10 is getting a lot of buzz in the world of wellness, and for good reason. 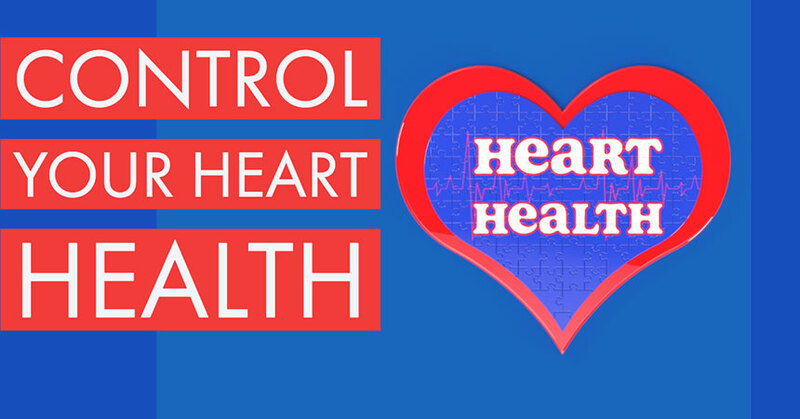 It promotes heart health and maintains cardiovascular health. It is the more advanced form of CoQ10, playing a critical role in the creation of cellular energy needed by important organs such as the heart and brain. It’s also the body’s strongest fat-soluble antioxidant. Simply put, so many people are talking about the Ubiquinol form of CoQ10 because Ubiquinol does so much. Even if you already know about the benefits of Ubiquinol CoQ10 for heart health, cellular energy production and antioxidant protection, you may still have some questions. Our Buyer’s Guide will answer many of your questions and help clear up any confusion you may have about adding this heart-healthy nutrient to your daily routine. With nearly 200 brands of Ubiquinol on the market today, choosing one may seem overwhelming. Ubiquinol supplements may be labeled “CoQ10 Ubiquinol,” “Super Ubiquinol CoQ10,” “Ubiquinol QH” or any combination of various names. Don’t let these combinations confuse you. Just look for the word “Ubiquinol” on the label or the Supplement Facts panel because the Ubiquinol form of CoQ10 is much different than conventional ubiquinone CoQ10. Today, Kaneka is the only manufacturer of Ubiquinol CoQ10, which it produces in a fashion that carefully protects against oxidation. Look for the Kaneka Quality Seal on the bottle (or sometimes listed in the Supplement Facts panel) to know you’re getting genuine Kaneka Ubiquinol™ made in the USA or Japan. All quality Ubiquinol CoQ10 supplement brands contain Kaneka’s Ubiquinol as the active ingredient, but each brand manufactures its finished product differently. Before choosing a brand, be sure to read the ingredients on the Supplement Facts label. Some brands use gelatin or beeswax, which may be an issue for vegans or those who follow kosher diets, while other ingredients, such as soybean oil or sunflower oil, may be a concern for people with allergies. Kaneka makes its Ubiquinol CoQ10 at its own production facilities in the United States and Japan. There, the manufacturing process is closely monitored to ensure consistency, quality and safety. The final product, naturally fermented from yeast, is bioidentical to the Ubiquinol made in the human body. Remember that Ubiquinol CoQ10 is not the same as conventional CoQ10 (called ubiquinone). Ubiquinol supplements come in a variety of doses, typically ranging from 50 mg to 200 mg, but nearly every Ubiquinol supplement is manufactured in the form of softgels. Mixing Ubiquinol CoQ10 with oil and then encapsulating it in gelatin reliably keeps the ingredient from coming into contact with light and oxygen, which in turn protects it from oxidation. Kaneka recommends new Ubiquinol CoQ10 users take 200 mg to 300 mg of the ingredient – perhaps split between morning and afternoon doses – for the first three weeks. This is called a “loading dose” and is designed to bring the amount of Ubiquinol in the blood to optimal levels. Most people who take Ubiquinol consume 100 mgs per day because that is the dose most often used in clinical studies. After three weeks, many people can move to a 100 mg daily dose. People over the age of 50 or taking cholesterol-lowering statin medication should consider taking 200 mg of Ubiquinol CoQ10 after their initial loading dose. If swallowing large pills is difficult for you, consider doubling up on smaller doses; for instance, by taking two 50 mg or 100 mg capsules each day. Ubiquinol CoQ10 is gentle on the stomach and more easily absorbed by the body than conventional CoQ10. Because the nutrient is fat-soluble, many people choose to take it with food, although Ubiquinol soft gels already contain a small amount of fat in the form of oil. Most people can take Ubiquinol CoQ10 at any time of the day. Although the nutrient plays a vital role in the production of cellular energy, it will not give the rush of energy you might expect from something like caffeine (a stimulant). Consider taking Ubiquinol when you wake up each morning if you already have difficulty falling asleep or staying asleep. Most people who take Ubiquinol CoQ10 won’t feel any different but can rest easy knowing the nutrient is doing important work inside their bodies. The cellular energy made possible with the help of Ubiquinol is needed by your most important organs, including the heart, to function at optimal levels. Ubiquinol CoQ10 is also a uniquely powerful antioxidant that can help protect your cells from damage caused by free radicals. In general, the Ubiquinol form of CoQ10 doesn’t have any side effects, but it’s good practice to talk to your health care provider before starting it (or any other vitamin or supplement), especially if you take a blood thinning prescription medicine such as Warfarin (Coumadin). Your doctor might need to change the amount of Warfarin you take. You can save or download this guide for discussion with your doctor or pharmacist. If you can't find Ubiquinol at your favorite retailer, ask someone at the store for help. The Ubiquinol form of CoQ10 can be found in most places that sell vitamins and supplements – in the United States, nearly 50,000 grocery stores, pharmacies, vitamin shops and health food stores. It’s usually but not always stocked next to conventional CoQ10 supplements. Some stores arrange vitamins and supplements by focus area (e.g., “heart health”) or in alphabetical order. If you can’t find Ubiquinol at your favorite retailer, ask someone at the store for help. They may need to check their computer system to see where it is stocked. Remember that Ubiquinol CoQ10 is not the same as conventional CoQ10 (called ubiquinone). Ubiquinol supplements are often labeled with an assortment of names and occasionally paired with other ingredients. Look for the word “Ubiquinol” on the package or in the Supplement Facts panel, along with the Kaneka Quality Seal. This indicates the product is the advanced form of CoQ10 that your body can use without any conversion. You can also use Kaneka’s handy Find a Retailer tool to find retail stores near you that carry Ubiquinol, or visit any online vitamin supplier. When shopping for Ubiquinol in a store, keep in mind that many conventional CoQ10 supplements use words such as “more absorbable” or “extra strength” on their packaging. This usually means the brand holder considers it to be a more effective or absorbable version of conventional CoQ10. It doesn’t always mean the product contains the advanced Ubiquinol form of CoQ10. Look for the specific word "Ubiquinol" on the supplement package you're buying. Look for the specific word “Ubiquinol” and/or the Kaneka Quality Seal before choosing your supplement. Otherwise you’re simply buying a different version of the oxidized form of CoQ10. No matter how much you absorb, your body still needs to convert conventional CoQ10 into Ubiquinol – a process that becomes harder and less efficient beginning around the age of 30. If you’re buying a product that combines Ubiquinol CoQ10 with other nutrients such as Omega 3s or Vitamin E, it’s also a good idea to make sure you know how much Ubiquinol is in each serving. Most people who take Ubiquinol consume at least 100 mgs per day because that is the dose most often used in published clinical studies. At the time of publication, Rachel Carter is a freelance writer. Dr. Funahashi is an employee of Kaneka North America LLC, a manufacturer of CoQ10 ingredients. 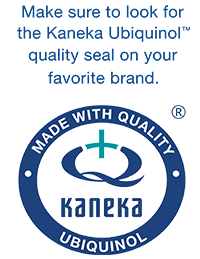 Learn why you should look for the Kaneka Quality Seal when buying Ubiquinol. Our beginner's guide to Ubiquinol CoQ10 is a must read for anyone who is interested in Heart Health.